Firstly, I am beyond touched by these incredibly generous donations! Deepest, sincerest thanks from all of us working on this and on behalf of those affected by the flooding. Truly, this campaign--the amount we have raised and the brief time in which we raised it--has been nothing but heart-warming and up-lifting. *The efforts on the ground have been tremendous and collaborative. Our on-site team has written an update below (please read!). *Please see all attached photos, lives videos and testimonials about the progress. I am happy to now say that since we have significantly surpassed our target goal I will be ending this campaign by Friday, October 13th. ***PLEASE NOTE: although I am ending this campaign, it by no means signifies that our job is completed in aiding those affected by the flooding in the Las Salinas area. Contrastingly, we are far from it: the rebuilding process has just begun and nearly all families are still without adequate basic necessities. However, the donation process will not continue here, but through the on-site NGOs' themselves. If you wish to keep supporting this effort (which we certainly hope you do!) please donate directly to FunLimon (The Mark and Kathryn Ford Family Foundation) link here: http://funlimon.org/l-70-Donate-Now) or FIMRC (Foundation for International Medical Relief of Children) link: https://volunteer.fimrc.org/campaign/project-limon-emergency-relief-fund. 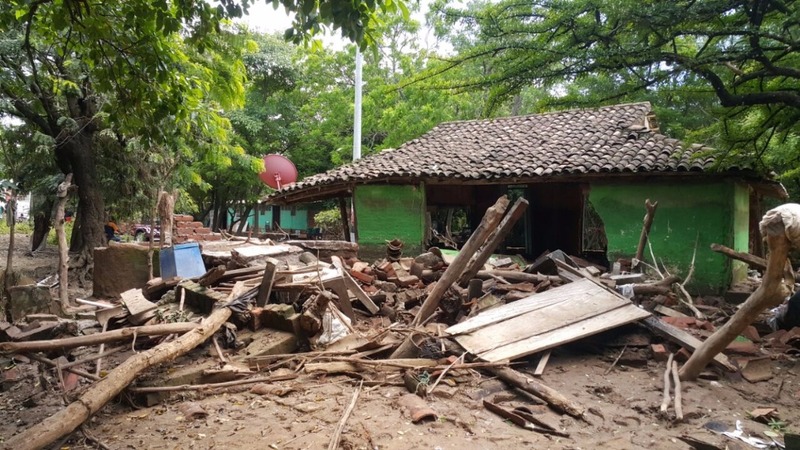 Campign: Tropical Storm Nate has caused disastrous flooding in the Pacific region of Nicaragua, my home of nearly four years. 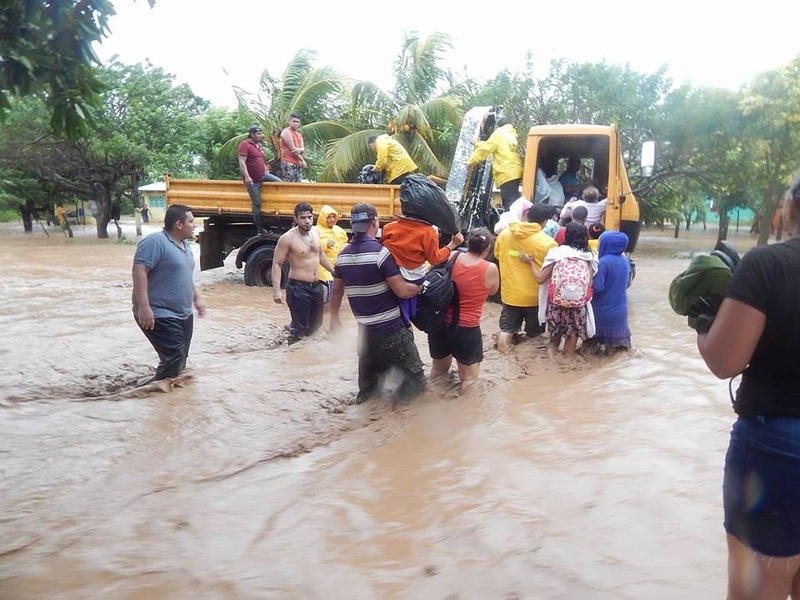 The flooding has devastated the rural communities of Limon, Las Salinas, La Virgen Morena, El Remate and El Lajal, affecting more than 1,000 people. It has destroyed homes and displaced an already vulnerable population. I have created this GoFundMe with on-site local NGO workers who have access to vehicles and will be aiding the families of these communities with supplies and food. Please help us raise our goal to get care, food, clothing and clean water to these affected families as soon as possible! Immediate monetary aid is needed and for transparency purposes, we will be documenting here how the aid is spent (myself, Delaney Scollan, and Rosie Scheibel, of FUNLIMON). Thank you for supporting these communities in time of great peril! My name is Delaney Scollan, I’m a 27-year-old medical student, from Central NY. I worked for FIMRC Project Limon, a women’s health and pediatric non-profit in Las Salinas, Nicaragua, for 3.5 years ( https://www.fimrc.org). I have a deep connection to the local communities and have maintained both inter-professional and personal relationships with local families, local leaders and NGO workers in the Limon / Las Salinas communities of Tola, Rivas, Nicaragua. My on-site point of contact is long-time friend, Rosemary Scheibel, the director of FUNLIMON, the Mark and Kathryn Ford Family Foundation ( http://funlimon.org). 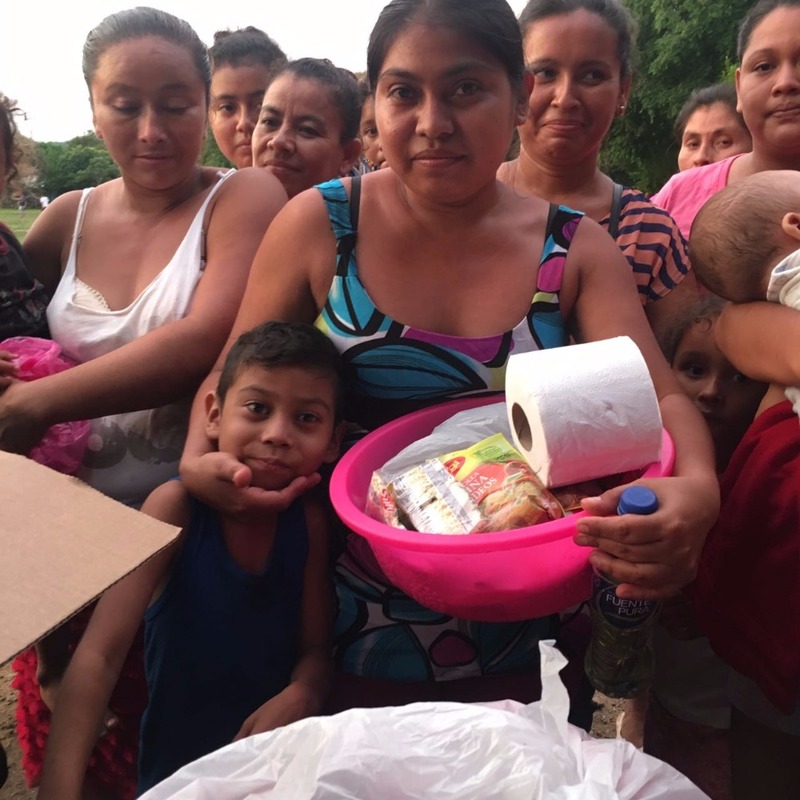 Rosemary (Rosie) has organized a team of FUNLIMON and FIMRC employees and community members to distribute food essentials (beans, rice, purified water) and dry bedding to the most inaccessible and affected families of the region between Limon and El Lajal / El Remate. Likewise, as the rain has begun to cease, for homes that have not been destroyed, teams are working to “dig out” homes that are inundated with mud and debris and thus currently uninhabitable. *The GoFundMe donations will be withdrawn to my bank account then immediately transferred to Rosie Scheibel (transaction receipts will be posted), who will then, with her team, make trips to Rivas to purchase supplies and head the efforts on the ground. Rosie has hard-copy receipts that she will be copying here (for fund transparency) and will simultaneously update us with photos, statistics and personal narratives of those affected. Internet connection in the area is extremely inconsistent currently on account of the flooding so our updates have been delayed but will hopefully be arriving shortly. *These statistics will be updated once the on-site team has regained internet accessibility. 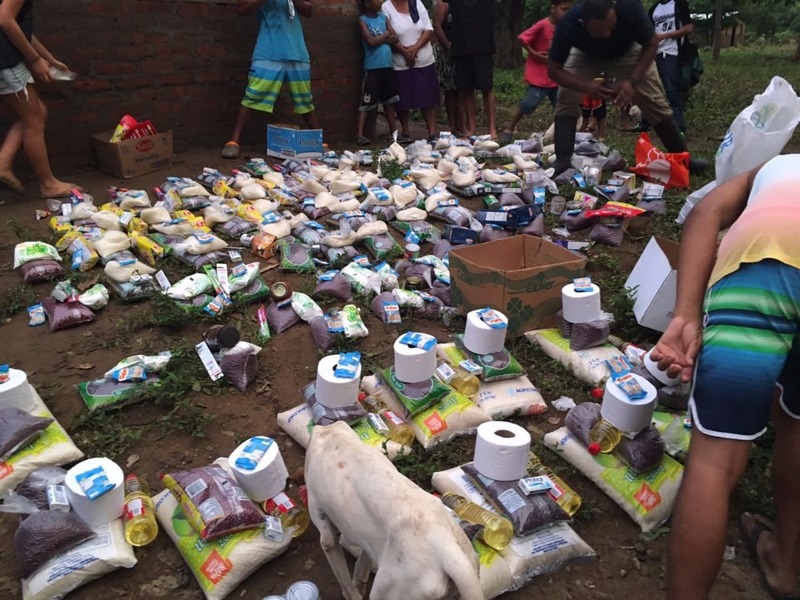 For now, however, the team is currently purchasing essential food items (beans, rice, purified water), gas and dry bedding and are distributing them. They are also buying shovels and tools for excavating homes out of the mud / debris. The GoFundMe funds will reimburse these purchases and serve to keep purchasing necessary items whatever that entails (ie. medicine, clothes etc). The funds will be linked directly to me since a US address, bank account and phone number are essential for transfer. The entirety of the transfer will be then directly transferred to Rosie Scheibel in Nicaragua. She will take out the money and purchase the items with her team. All receipts will be kept and uploaded to our page along with updates of the progress of the aid. From on-the-ground operations: "Thus far we have spent $3600 (of personal money that will be reimbursed) and have distributed food equivalent to $1600. Tomorrow we will distribute the rest. We have 20 groups with vehicles distributing to 20 communities. We did a census today and will begin distributing tomorrow. I will get the debriefing information and inform you with exact numbers as soon as I can. " *Photo reciepts and the census will be posted later today. Again deepest thanks for an incredible effort! The on-site relief team is now utilizing the funds you have so generously donated. We will continue to update this campaign with the relief progress, although I will now be closing the campaign for further donations. For continued updates about the progress, please refer to https://www.facebook.com/funlimon/ and the above links. People are without food, clean water and basic necessities. Hundreds of homes are gone completely, and others have been left with a few walls still standing and maybe a few personal belongings salvaged. A group of nearly 50 expats and local leaders met on Sunday morning at FunLimon organize ourselves and make our best attempt at a thoughtful approach to the destruction and displaced communities here in Tola. We made teams of people, each assigned to a different community (and in some cases several communities), not only to avoid duplication of efforts, but to extend the reach of our help and supplies as far as we possibly can. Each team was tasked with identifying local community leaders, assessing the needs of the community, creating a census and number of families, information on number of homes destroyed, ability to cook (as this would determine how food was delivered to them, cooked or unprepared), their medical needs—the list goes on, and so does the work, as these needs change day to day. Thanks to your contribution we are able to not only get general supplies to these people, but we are able to get the things that they need: i.e. shovels for homes that are still feet-deep in mud, medicine for those who are sick, diapers for babies, in addition to food and water. We are working with each of the communities listed below, and still a few others are being added to the list. Some communities will be without power for months. They have lost all their crops, livestock, means of transportation, and access to the main roads. 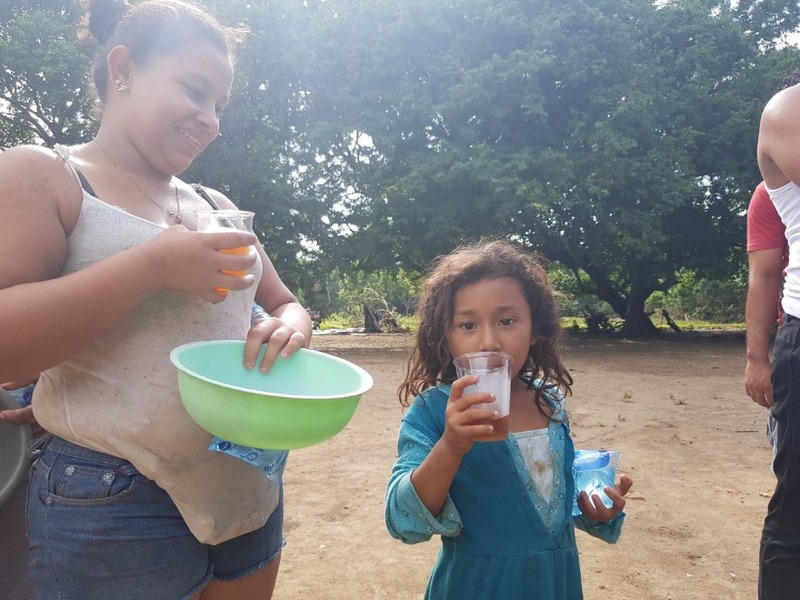 Nearly all of the wells in Tola are contaminated, and we have distributed thousands of gallons of clean water the community through the help of Rancho Santana and the Roberto Clemente Clinic. 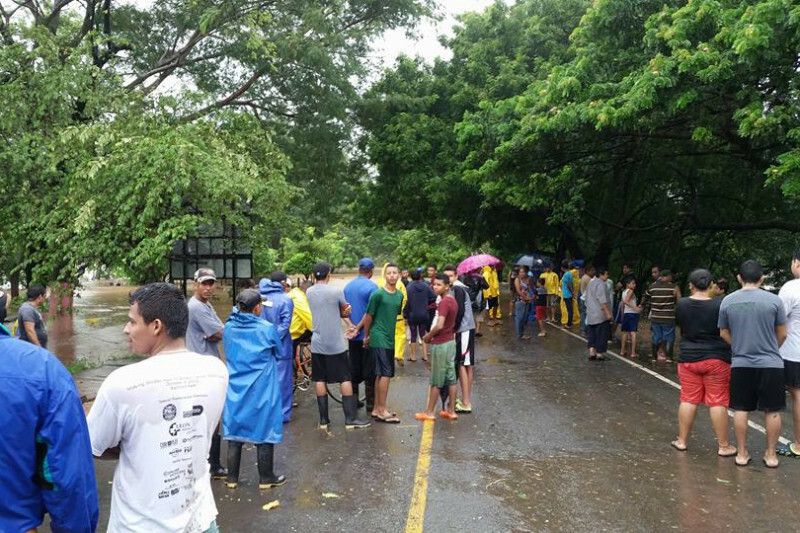 We have a separate brigade of Rancho Santana engineers who are heading out into the communities to salvage wells that can be used for the entire community for the time being. 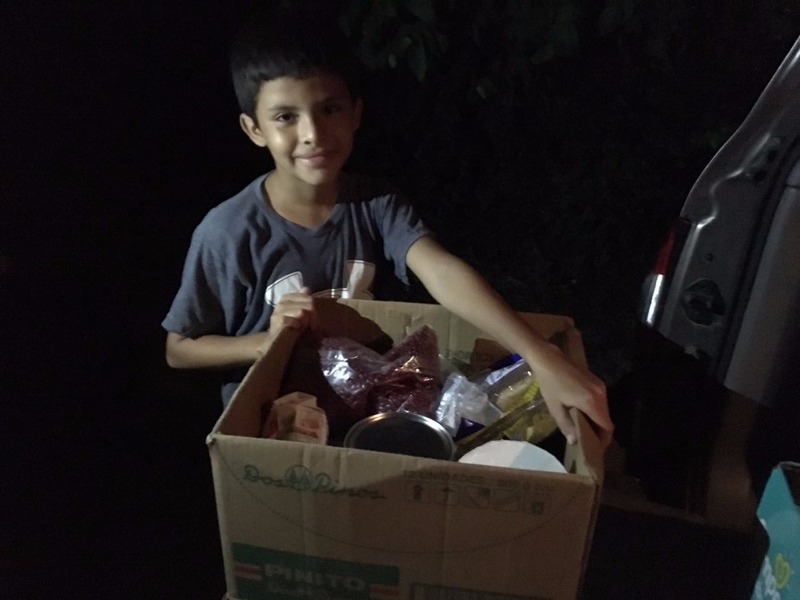 We have also distributed thousands of prepared meals to the community, as well as tens of thousands of pounds of rice and beans and other goods. But we need more—a lot more—to make sure that mouths are being fed (and as many as possible), and that we help in the areas where it is needed most. The efforts will continue, day by day, and your support is what is sustaining our efforts. The immediately needs are basic, and we are in the process of creating a long-term plan to make this effort sustainable, for community members, for our organized effort here on the ground and your continued support. So, thank you, genuinely from all of us.